Maria Eugenia Ayala has over 20 years of experience working in the entertainment and marketing industry. From 1991 to 2003, she worked as a magazine editor for a major Spanish magazine in Chicago (Tele Guia de Chicago); as an editor, she was responsible for overseeing the overall production of the magazine. For the past two decades, she has traveled and covered all major Spanish Awards around the country. Such as Premios Lo Nuestro, Billboard Awards, Texano Music Awards, Premios Juventud, Selena El Especial, Grammy Awards, etc. In addition to she has also coordinated music conferences and release parties for major recording companies in the regional Mexican market while participating in festivals, fun and health fairs, concentrating in the entertainment field. TeleGuia de Chicago employed Maria Eugenia Ayala for eight years and then, en 1998 she moved to Contigo! Magazine, a local tabloid. In 2003, she founded Mas Magazine, an entertainment magazine that serves the Chicagoland area. 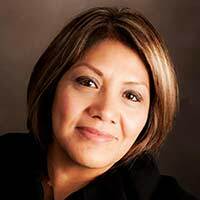 Ms. Ayala is now the President of Más Enterprises and Marketing Inc., Founded in May of 2006, Mas Enterprises and Marketing Inc, serves and represents small and local businesses in the Chicago area. She was, on a regular basis, a contributor for HOY Newspaper and volunteer in different causes, promoting all non for profit events through her magazine Mas Magazine. In 2005, she worked has a talent Coordinator at Back to School Festival in Chicago. From 2006 to 2010 she worked major festivals and community events for the town of Cicero, more notably as Talent Director for Cinco de Mayo and Fiestas Patrias Festivals in Cicero and as stage manager for Festival de La Villita. Her responsibilities included but were not limited to contracting the entertainment talent for the Mexican Cultural Committee of Cicero, overseeing promotions, and booking the talent for Latino festivals and special events around the city. In 2009 and 2010 she was the Producer of the Cinco de Mayo and Fiestas Patrias Mexicanas in Cicero and on September 2012 she returned to Cicero to organize , direct and oversee the popular Mexican celebrations. Today, she is in charge of producing and managing My Gracia Fest in Cicero (a gospel festival), and Cinco de Mayo and Fiestas Patrias Mexicanas in Cicero. Additionally, Mrs. Ayala is been working as the Stage Director for Little Village Fests, working with Special Events Management, a company that produces Little Village Mexican celebrations in Chicago. For the past ten years, Mrs Ayala has been working closely with Telemundo Chicago producing and coordinating special events, securing and booking talent for a variety of events including “Movies Under the Stars”, “Fiesta Futbolera”, “Hispanic Day- Auto show”, “La Pachanga de Telemundo”, among others. Mrs. Ayala marketing company also produce, promote, and advertise a variety of shows and/or events around Chicago. As part of her commitment, Mrs. Ayala has been actively involved as a volunteer in many community events such as La Posada, The Haunted House in Cicero, Dia de Reyes, and Summer Fest at Morton West. She also serves in the board of Cicero Mexican Cultural Committee. . Finally, she has kept an outstanding relationship with record companies, artists, Latino media, television, radio, event producers, and promoters in the United States and Mexico.